Our team went from having a four win season to going 18-4! Thanksgiving Preseason Champs, Runner up in the League Championship, & The Elementary Citywide Champs! The plans made my practices easy to run & gave the players skills to use in game time situations. 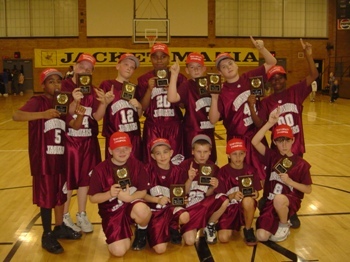 Since 2007, eBasketballCoach.com has been the premier online publisher for basketball coaching and training information. Our mission is to help youth and high school coaches engage their players in practice, improve their team's skills, and achieve more success on the basketball court! Get started today by checking out our product catalog. 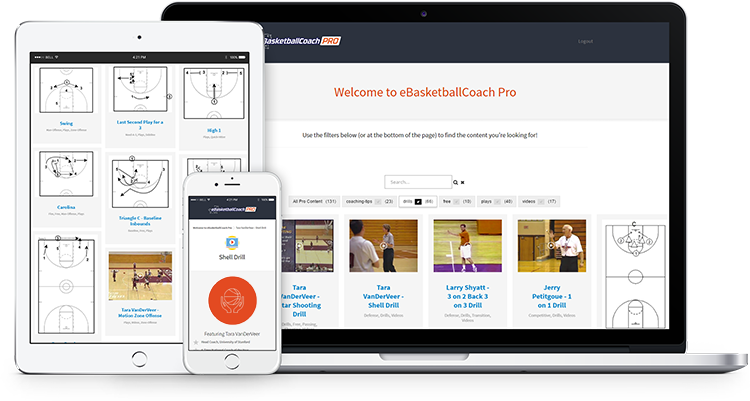 Or take a tour of eBasketballCoach Pro to get insider tips from legendary NBA, NCAA and high school coaches. Discover the best-kept secrets from Hall of Fame coaches, NBA veterans, NCAA Champions and Olympic Gold Medalists. Access 272+ championship-tested drills, plays, and motivational strategies from world-class coaches like Hubie Brown and Tara VanderVeer.